Use these plates to cover the open front of an electrical box containing one or more GFCI duplex receptacles to protect the receptacles and their wiring from damage and prevent accidental contact with them. The rectangular cutouts on the plates allow access to the outlets and test and reset buttons on the front of the receptacle. 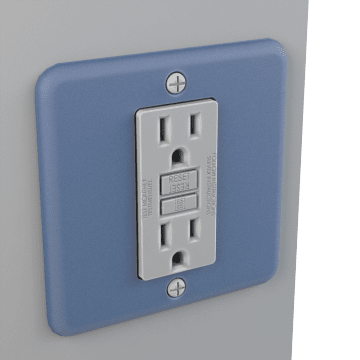 These plates are designed to fit GFCI duplex receptacles, which are typically installed in kitchens, bathrooms, laundry rooms, or other places where the outlet may be near water, but they can also be used with decorative rocker switches.